Organic makeup recommendations and a giveaway! When it comes to makeup and beauty products, figuring out what chemicals and additives are hiding in them can be a huge challenge – I’ve done a fair bit of research and I’m still not even sure what half the stuff on the ingredient lists means. But there are definitely things you can do to minimize the amount of toxic stuff you put on your skin and into the environment. The biggest problem for me with makeup (and other beauty and skincare products) is that I don’t really trust any of the packaging – just like with my food, if I’m sitting there wondering what the heck a word in the ingredient list even means, I get a sneaking suspicion I shouldn’t be putting it on (or in) my body. So, for now, I compromise a little. On this blog, and especially in my Greener Every Week series, I try to avoid tips that basically amount to “instead of buying this conventional cleanser, buy this one that says “Green” on the label!” – I’m pretty sure you guys can figure that kind of thing out on your own. When it comes to makeup, though, I have had to look around a lot to even find a “green” version, so I figured I could tell you which ones I’ve found and tried, and maybe some of my lovely readers will have even better suggestions! I should also mention that I’ve always been pretty minimalist when it comes to how much makeup I wear – my daily routine consists of eyeliner and mascara, and if I’m dressing up I might add a bit of eyeshadow or lip gloss. So I’ve only tried those things myself – but most of the companies I’m recommending have a full line of cosmetics so you can check those out as well. 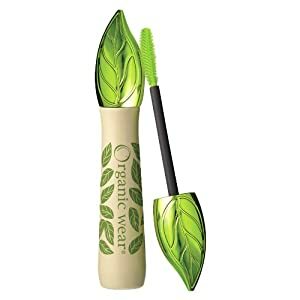 The most easy-to-find organic brand I’ve heard of is Physicians Formula – they actually can be found in many makeup stores and pharmacies, so if you like to just run out and pick something up for fairly cheap they aren’t bad. 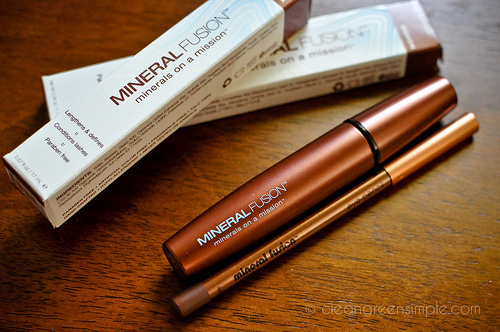 I think their mascara works well, and I like that their packaging is recyclable and their products are organic. – I have their eyeliner and mascara and think they are both really nice. I don’t think all their stuff is organic but they do focus on more natural mineral ingredients and are paraben-free, so that’s a step in the right direction. The slight downside is that they only sell through representatives (like Avon or Mary Kay). The upside is that I’ve got a representative for you and she has a website you can purchase her products through directly, so it’s super easy. 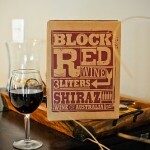 The extra upside is that she has agreed to give away a beautiful little gift package to one of my readers! 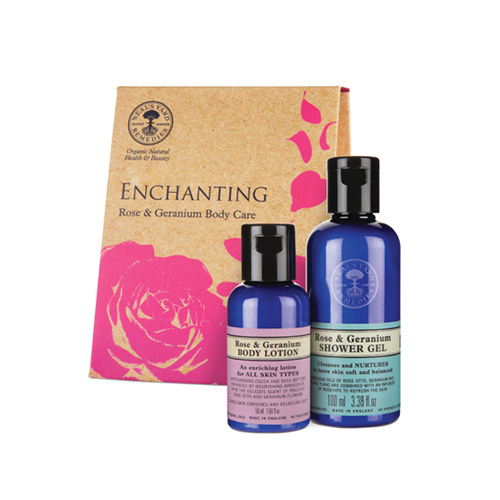 This is called the “Enchanting” gift set and it includes a little bottle of body lotion and a shower gel, both Rose and Geranium scented- all with organic, natural ingredients. One of the perks of their natural ingredient list is that their scents are lovely and fresh smelling, without that chemical smell (I’m super sensitive to perfumes and scented products so this is a big perk for me). 1. Leave a comment here – say whatever you want, but make sure you leave contact info so I can let you know if you’ve won. 2. Follow and mention me (@cleangreenblog) on Twitter. Again, say whatever you want, I don’t care, just mention me, baby! 3. Like my Facebook page and leave a comment on my wall. Each thing gets you one entry, if you do all three you get three chances to win. I’ll announce the winner on Monday at 5pm PST – good luck! So – does anyone have any good makeup/skincare product recommendations? I’d love to hear about them! I know this isn’t a terribly impressive list of recommendations, so hopefully with your help I can either figure out how to easily make my own or learn about some new companies I haven’t found. Congratulations! I’ll be emailing you to get your address, hope you love the cookbook! Sorry to those who didn’t win but I’ll be giving away some more awesome stuff soon so check back! is the competition international? it’d be great! usually i use the brand called Alverde’s products. it’s German but you can find it Austria and here in Hungary too. i’m not 100% satisfied with it, mostly because they change ingredients for seemingly no reson with questionable results, but still it’s the most affordable organic and green brand here and i really like their hair and body care products. i’m totally with you on the minimal make-up routine, my mascara and eyeliners are all from this same brand. Nice post! As far as good brands go, I’d recommend Josie Maran’ s makeup line (www.josiemarancosmetics.com/ some of it is a teeny bit questionable) and I really like EcoGlo Minerals (http://www.ecoglominerals.com/) face makeup. I almost forgot about http://www.bubbleandbee.com/ they have great body/face/hair care products. And I love their deodorant! I like Physician’s Formula because it is affordable and you can find it in most drugstores. The line I absolutely love (but sometimes can’t afford) is Arbonne – as far as I know it can only be purchased online or through a rep! I try to stick to products that are NEVER tested on animals (be careful of the labels ~ they can be misleading) and Arbonne fits the bill. I also like Kiss My Face products. This looks awesome, I’m a big beauty product geek and would love some green products to try! I like Coastal Classic Creations face powder foundation. They even score low on the skin deep website for toxins. I’d love to try some of these. I don’t buy much makeup besides mascara, and sometimes the stuff I have irritates my eyelids a little. I’m sure it’d help to have some without all that gunk in it! Thanks for the giveaway! I use makeup from RMS Beauty. 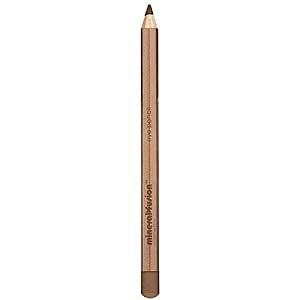 It’s pricey, but lasts a long time and I feel it is worth it for such great quality. I have had mine for about 8 months now and my little pots are about half gone. I am a minimalist as well-a little concealer under my eyes, a bit of eyeshadow, some eyeliner, and a swipe of lip balm (I use one from RMS and use it for eye cream at night–multi-purpose!). If I am going out, some mascara and blush too. I use mascara and eyeliner from HoneyBee Gardens. It is inexpensive and the ingredients are decent. It is interesting to hear what others use and hear about new products to try! My favorites are Bare Minerals, Tarte mascara, & Simplers Organics. I try to use as much organic eco-friendly products as possible- and to be aware- but its tough- can be so expensive! and liked your page on facebook- so glad I found your site! Though I have tried to make my life as green as possible, I admit that I have yet to take this step in my makeup…so I would welcome the opportunity to try these products. 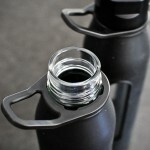 I would LOVE to try these – thanks for the giveaway! I was using a product called Kores. It is made in Greece and has the most delicious scents and texture. I am however always looking for the next new product! I’ve really been enjoying your blog and invite you to visit mine. I’m fairly new to living a greener, vegan lifestyle and think you share great info. I’m looking into your NYR organics rep as well. Keep up the great blogging. I really love reading your posts. Your recipes and ideas are really great! It’s never too late to change!!!!!!!! “100% pure” makeup and skincare are made from fruit and vegetable pigments, and tea! they are vegan, and even their packaging is green! Wow, that 100% Pure stuff looks amazing! I’m going to have to check that out! the 100% pure stuff IS amazing! you can catch Susie Wang on QVC periodically. she really believes in her product! I absolutely love the physician’s formula mascaras! The Physicians Formula eye makeup is crap. Very smudgy and falling/melting off my face. Unless you are trying out the whole “went clubbing last night, slept in my make up and just woke up” look. Would love a chance to win green products. I highly recommend the Rocky Mountain Soap Company. I love their everyday face lotion!